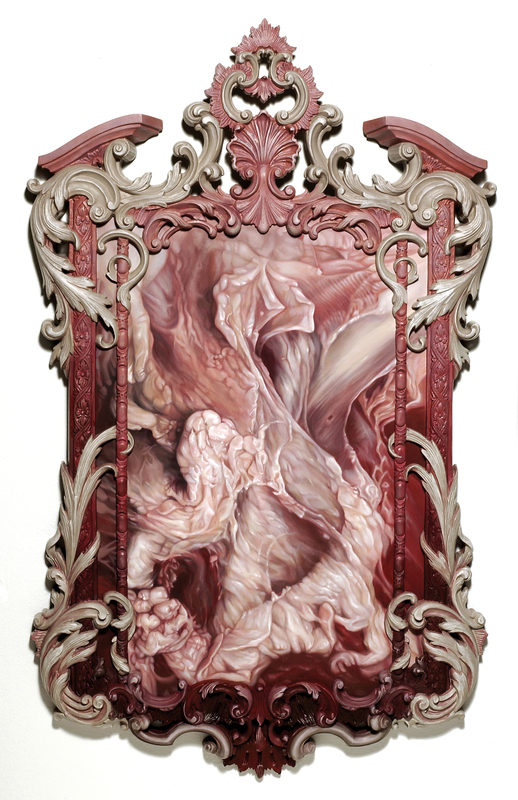 Los Angeles-based artist Victoria Reynolds's paintings of raw flesh, often set in ornate, rococo- or baroque-style frames, are unabashedly sumptuous and sensual (other media include digital imagery, drawing, sculpture, and music). 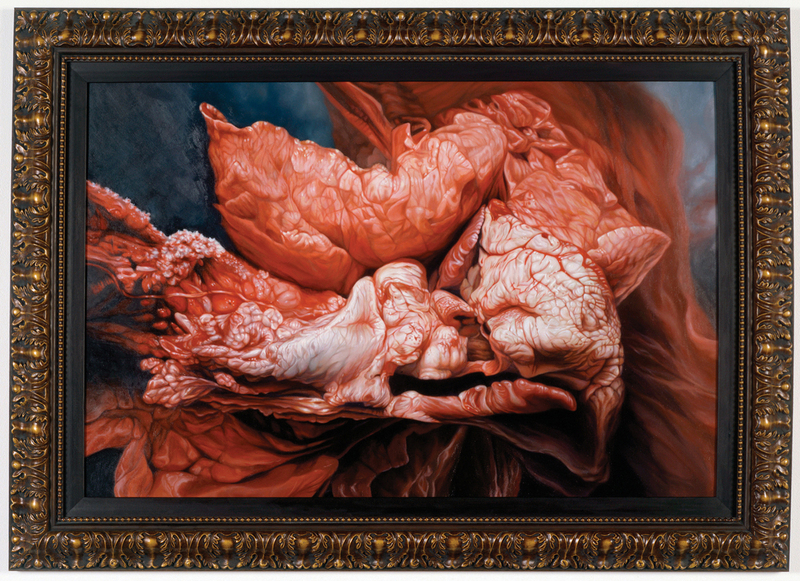 Her work refers to the Venetian art of painting flesh, Dutch vanitas, kitchen and butcher stall scenes, divine sacrifice, and society’s use and sacrifice of animals. Victoria Reynolds exhibits her work internationally, and her work is represented in numerous collections. 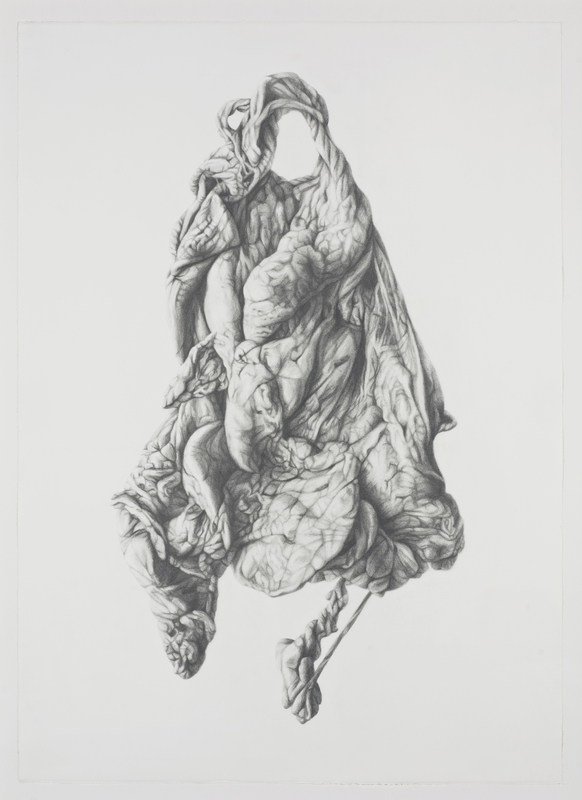 Recent solo exhibitions include “Drawn and Rendered” at Richard Heller Gallery in Santa Monica, California; “Carne Vale” at Blue Star Arts Complex in San Antonio, Texas; and “Rare and Well-Done (Blodig och Genomstekt)” at Galleri Ahnlund, Umeå, Sweden. Reynolds will discuss her works from the past ten years, highlighting those in Nine Lives.